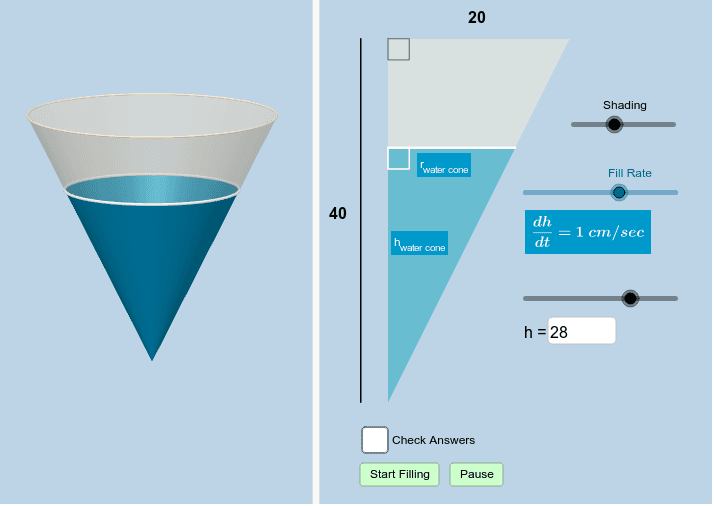 Suppose water is filling up (or draining from) a right-circular cone with radius 20 cm and height 40 cm. Answer different questions given to you in class relating to this scenario. After answering each question, check your values with those displayed in this applet.